Mostly we’re not interested in Castaway Cay and Mik doesn’t even get off the ship, but this time we did get off to walk around a little to take photos of the holiday decorations. 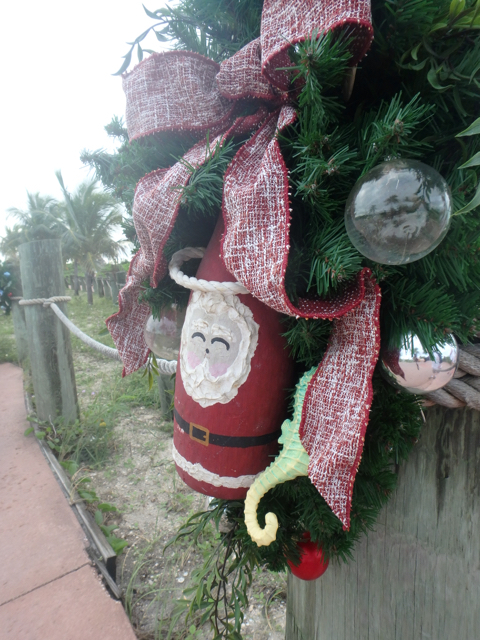 The decorations are mostly between the ship and the first Tram station. There’s also some cool wreaths on the road past the tram station, but they’re hard to see from the walkway and I guess more meant to see from the tram. 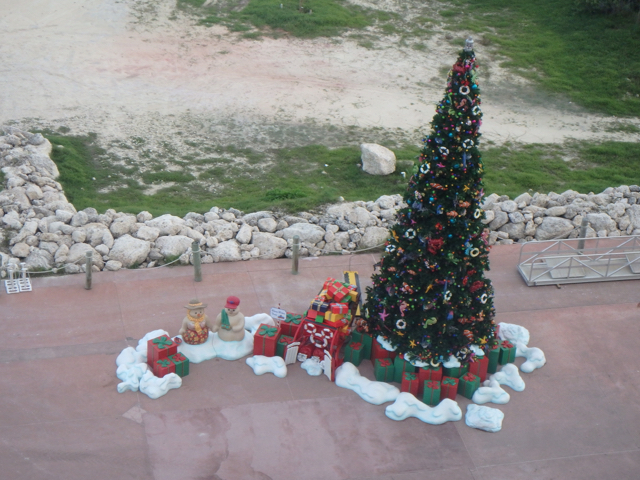 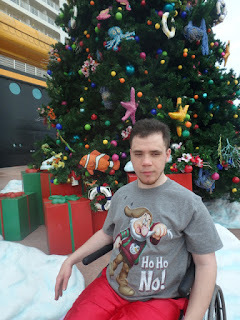 The main thing to see is the Christmas tree right when you get off the ship. 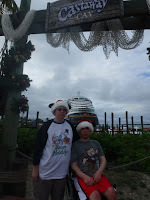 You can do photo ops with the Mickey sleigh and/or sand snowmen in the background, but we decided to do it from the other side sort of with the ship in the background because of where the sun was in the morning. 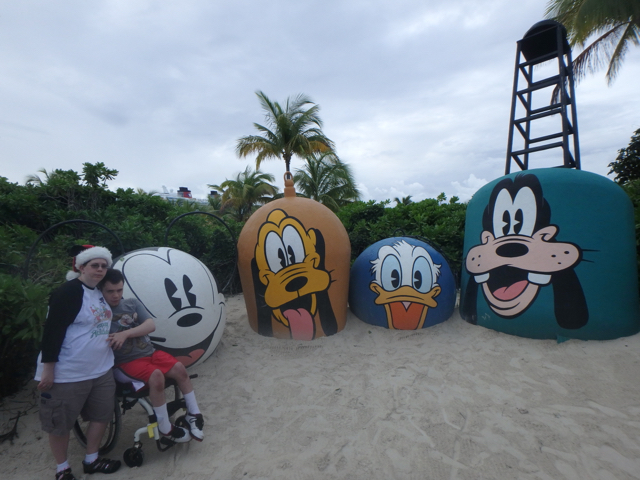 Of course, a picture with Mount Rustmore was a must!